Applications: The program only accepts applications through ERAS. US Graduates: For best consideration, you should apply by October 16. Application deadline is December 15. Foreign Medical Graduates: For best consideration you should apply by September 15th. Application deadline is October 15th. Applicants should have graduated from medical school within the last three years. Applicants should have substantive hands-on clinical experience (not observership) in a physician role of at least two months in a US academic institution within the last year. Although there is no set cutoff score, applicants should score at least 210 on USMLE Step I and Step II to be competitive with our usual applicant pool. International medical graduates must be US citizens, be permanent residents, or be eligible for J-1 visas. Our institution does not sponsor H-1 visas. The USMLE cutoff score for IMGs is 220. Must apply via ERAS. No pre-match positions. ECFMG certification before issuance of training license. Preliminary Positions: 6. We give priority for interviews to UNM students, applicants applying to UNM programs requiring a preliminary year, and individuals with ties to New Mexico. For those applying to Anesthesiology, the Anesthesiology program will contact us if you are a candidate for the advanced position. Neurology Preliminary Positions: 4. Neurology preliminary positions are chosen in partnership with the Neurology program. 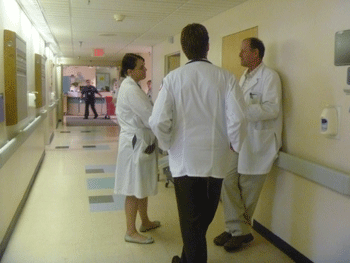 Interviews are conducted together and coordinated by the Neurology Department. Names of applicants for Internal Medicine and Neurology positions are submitted in the same order in the rank list to optimize the opportunities for our applicants who want to do all four years of training at UNM. has 247 IM faculty at University Hospital (UH) and Veteran’s Administration Medical Center (VAMC). 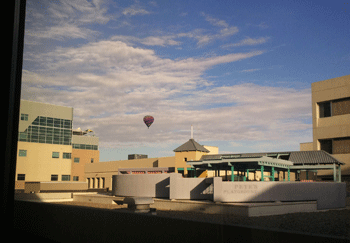 These are the major physician-teaching sites in Albuquerque. Recent graduating residents in the past 5 years have matched at University of Arizona, University of California Irvine, University of Florida, University of Iowa, University of Louisville, Mayo Clinic, University of Texas Southwestern, University of Utah, Vanderbilt University and other fine institutions. 95 percent of our residents match into their chosen fields. Approximately 40 percent of current UNM subspecialty fellows are UNM internal medicine graduates.